3. Preparing meat was all about focus, speed, and detail. At the Roadblock, each team got down to the bulk of the challenge by taking meat into their own hands. At first glance, this challenge might've looked manageable, but there was nothing simple about the undertaking. 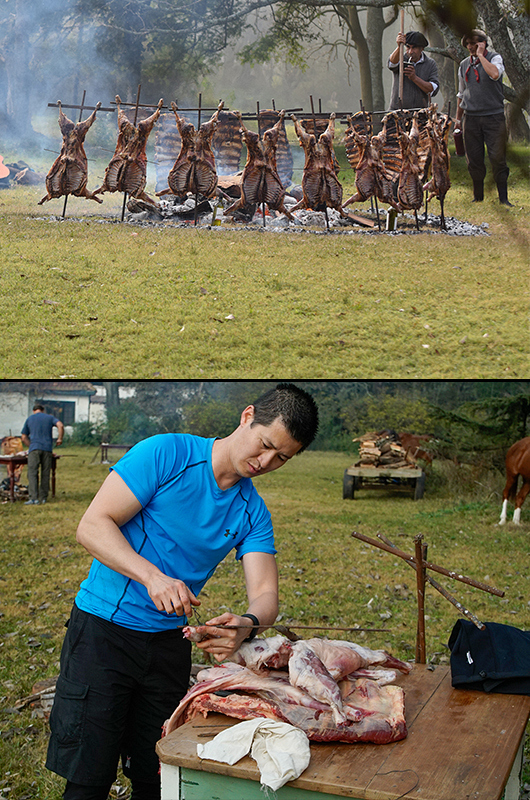 In order to proceed, the teams had to carry out three specific tasks: face the bones outward, turn the meat right-side up, and skewer the whole thing properly. If the gaucho approved their work, they'd get their next clue. Even though #TeamTexas and #TheReporters finished at the top of the bunch, #ChacAttack made an impressive showing. After all, it took Rick, a detail-oriented doctor, only one stab to crush the challenge, which put him and his wife in third place.